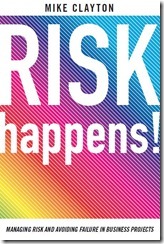 Identifying Risk | Shift Happens! I have been reading an old blog about “Epistemic, Ontological and Aleatory Risk” on Mathhew Squair’s blog, Critical Uncertainties. I doubt I am alone in having to think hard to get my head around the definitions. So, to help myself, I made a diagram. There is a lot to think about in Matthew’s article and it stimulated a lot of parallel thoughts. The summaries and interpretations in this diagram are all mine, but it owes a lot to Matthew’s article. This entry was posted in Analysing Risk, Identifying Risk, Risk Happens!, Risk Management and tagged aleatory risk, Black Swan, epistemic risk, ontological risk, risk, Uncertainty on 24 April, 2013 by Mike Clayton. Project failure seems to be almost endemic at the moment. There are frequent press reports of massively over-spent Government projects, and major commercial project delayed or cancelled. Anyone who works in a big organisation will have seen it up close, so let’s look at ten of the commonest reasons why projects fail. Each one is strategic, predictable and, most important can be avoided. The project goal and objectives are either unclear, or are disconnected from the organisation’s other priorities, leading to a weak case for change. This is really two reasons for the price of one. Strategy: Invest time up front getting a strong definition signed off by strategic level managers. People have unrealistic expectations, leading to a determination of failure despite the project meeting its goal and objectives. Stakeholders will always have the last word on success or failure. Strategy: Prioritise stakeholder management at all stages of your project. Senior people in leadership roles fail to accept responsibility for the project, and do not give it the support, commitment and leadership it needs. This often leads to an over-reliance on consultants or contractors. Strategy: Unless you have clear and committed sponsorship, fold the project now. People resist the changes that the project brings or resist participating in the process, often because their role in the project’s success is under-valued by the team. Rule 1: people resist change. So what will you do about it. Strategy: Plan time into your programme to engage positively with the inevitable resistance. Project management, change management, stakeholder management and risk management skills are lacking. Often, functional managers are co-opted into project management roles with little or no preparation. Strategy: If you can’t secure experienced project managers, provide high levels of training and support. The project is poorly planned, without a sound basis for estimates of schedule and resources, leading to unrealistic deadlines or budget. 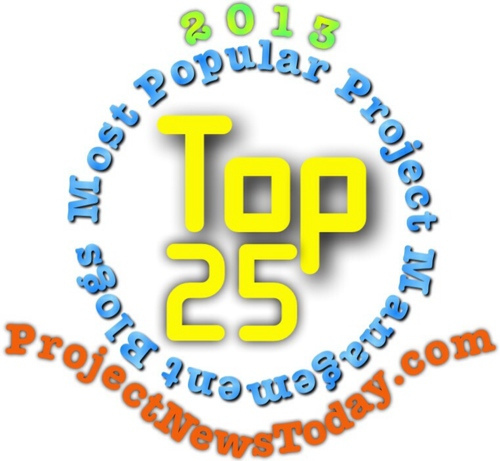 And worse still, project managers believe their plans too early, with little or no supporting evidence. Strategy: Stress-test your plans and never consider them complete without full risk mitigation and contingency plans included. Key elements of the project are not controlled effectively, such as changes to scope or functionality, delivery or quality of products, or deviations from plan. Strategy: A robust change control process is necessary in all but the simplest projects. There is too much focus on cost – or price of contracts – and not enough on the balance between cost and risk/value. Value for money means understanding the risks and benefits, not just the costs. Strategy: Always ask why low prices are as low as they are. If it seems too good to be true, then it probably is. A project solution is defined before adequate research has validated that is technically possible, organisationally desirable, and free of unintended consequences. We are too often seduced by the lure of the novel and innovative. New plus original equals big risk. Strategy: Prototypes, pilots and extensive testing are not gimmicks but sound risk management tools. Project overload – the organisation is simply trying to do too much with the resources and attention that it has available. Many organisations don’t fail because they don’t manage projects well, but because they try to manage too many. Strategy: Ruthlessly prioritise your initiatives and cull those which offer poorest value. or in Kindle format, here. This entry was posted in Identifying Risk, Project Success, Risk Happens!, Risk Management, Risk Strategies and tagged project management, risk, risk analysis, Risk Happens, Risk management, risk strategies, Stakeholder management on 14 March, 2012 by Mike Clayton. The UK Government’s Major Projects Authority (MPA) has published its Assurance Toolkit with a particularly useful risk management tool. A Risk Potential Review (RPR) is a structured analysis across the various aspects of your project, to gain an overall measure of the risk involved. It is a valuable part of the first, definition stage of your project. Typically, bigger, more complex, higher impact projects carry more risk than smaller, incremental, operational projects. Assigning threat levels against each question in my checklist will give you a simple numerical assessment of the potential threat level of your project. You can download a copy of the Risk Potential Review checklist here. If you need a more thorough evaluation of the impact of project failure, and the complexity of your project, the MPA’s Risk Potential Assessment worksheet in Word format is a great tool for your project toolkit. And, you can re-use it free of charge. You may disagree with the final assessment categories in Table C, but the questions are useful at the start of any project. I recommend you download this tool, adapt it to your own domain, and have it ready for the start of your next project. Just let me know your name and email address, and I’ll send you valuable extra tips and thoughts every month. This entry was posted in Identifying Risk, Risk Management and tagged Major Projects Authority, risk analysis, Risk assessment, Risk Happens, Risk management, Risk Potential Assessment, Risk Potential Review on 18 October, 2011 by Mike Clayton. One of the most interesting areas of management performance to me is decision-making. And one of the most interesting writers on the subject is Gary Klein. His principle research interest is in how to use intuition effectively, which led to some of his work being described in Malcolm Gladwell’s huge-selling book, “Blink”. One of the tools that Klein has developed is what he calls the “pre-mortem” exercise. This is a technique that should be familiar to all project managers. In a post-mortem, we look at the tattered remains of a failed project and try to figure out what went wrong. In a pre-mortem, Gary Klein suggests, we should imagine that our as-yet un-started project has failed failed spectacularly. With this assumption as a starting point, we then proceed to figure out what might have caused it. This is different from the more familiar risk identification process, where we try and think of all of the things that can go wrong. Notice what this shift in perspective from “what could go wrong?” to “what has gone wrong?” does. One of the biggest sources of failure of a project is over-confidence. We have too much faith in our team, our assumptions, our planning, our execution capability. This blinds us to many potential sources of failure. In the pre-mortem process, we can skip past this by starting with the presumption that the project will fail. It team members can be made to think that this has happened, then they will work hard to find explanations for the failure and, in so doing, will unearth all sorts of risks. By now it is too late to say: “but that could never happen” because we have entertained the real possibility that it might. Accessing personal experience is one of six approaches I offer for identifying risk, in “Risk Happens!” The pre-mortem is one the techniques under that heading. To learn more about the pre-mortem, read Klein’s book “The Power of Intuition”. 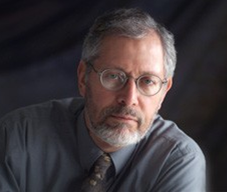 Fast Company and Harvard Business Review carry articles that discuss Klein’s work and the technique, on their websites. Break the cycle of assuming your project will succeed and thinking risk management is just about dealing with the frustrations along the way. 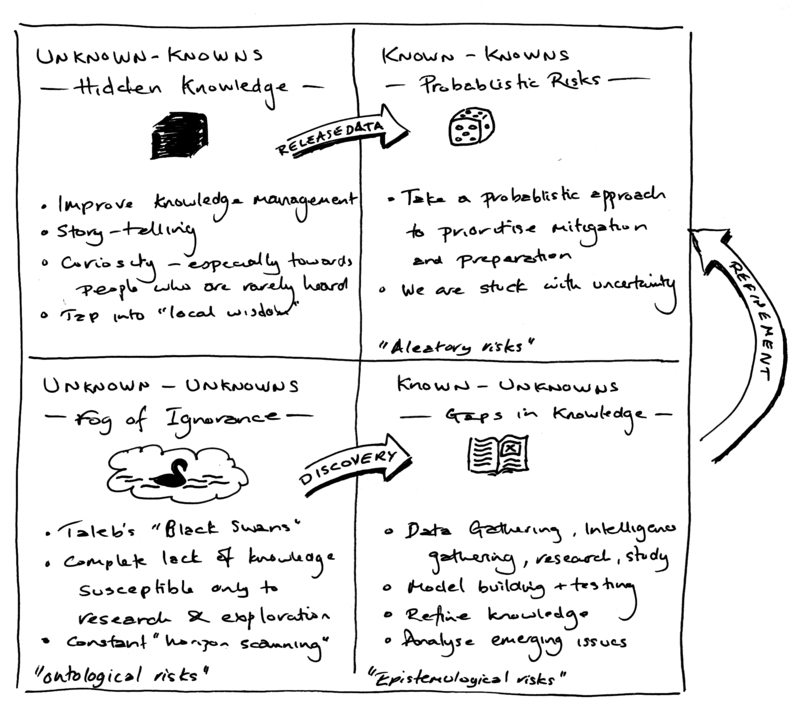 Start looking for the hidden “unknown knowns” that will cause it to fail, if you don’t find them and tackle them. Try it out… you can always unsubscribe later. This entry was posted in Identifying Risk, Risk Happens! and tagged Blink, Gary Klein, Malcolm Gladwell, Pre-mortem, risk analysis, Risk Happens, risk identification, Risk management on 26 July, 2011 by Mike Clayton. I like checklists. Well constructed, they give confidence and a logical structure to our analysis. So I thank Glen Alleman (again) for making me aware of the Defense Contract Management Agency (DCMA) 14 Point Schedule Assessment. The DCMA is a Division of the US Department of Defense (DoD) and their assessment is a checklist of 14 components of a project schedule, with criteria to indicate where that schedule may be weak or strong. It is clearly well thought-out for theDCMA’s domain, and may not be wholly apporpriate to other project contexts. For your project, it may miss some checks, some of the checks may be less valuable, or some of the levels at which the assessment fails may be inappropriate. But surely, a rigorous assessment of your schedule using an assessment tool like this is of great value to any project. I commend it to you. Have tasks been dropped from one version of your schedule to another? If so, this could suggest erroneous omission. Does the software correctly handle extensions to critical path activities? If you are not reviewing all elements of your planning critically, then as a project manager, you are subjecting yourself to hubris, you are exposing your project to additional risk, and you are, arguably, falling down on your job. Adapt the principles of this check to your needs, but do carry out a review. “Risk Happens! Managing Risk and Avoiding Failure in Business Projects” is published on 15 July. Learn more, on the Risk Happens! website. This entry was posted in Identifying Risk, PM Tools, Project Review, Risk Happens! and tagged 14 Point Schedule Assessment, Defense Contract Management Agency, project management, project review, Risk management on 17 June, 2011 by Mike Clayton. Well, it’s… you know, there are lots of risks. If there is an estimating error in our assessment of each project risk (and there will be), then what is the chance that these errors will cancel each other out? Probably quite low – we might expect a random walk away from the true answer, as long as our estimating errors are truly random, rather than systematic. A lot of “ifs”. Where do we stop. We have an infinite series of finite risks. Some are small, but where do we set the cut-off? This entry was posted in Analysing Risk, Identifying Risk, Risk Management, Uncategorized and tagged project, risk, risk hierarchy on 13 July, 2010 by Mike Clayton. One of the joys of my working life is doing something innovative. So to be asked to develop a three module course on Problem Solving and Decision Making was great, and our client, SAP, is a great company. But it’s better. This work gave me a chance to learn how to develop training for a virtual classroom. Up to 16 participants around the world, learning with one facilitator, using great technology. The point is this: running today’s module, on analytical methods, we covered a great problem solving tool which I also use for risk management. I suspect many change leaders, and project and risk managers will have heard of it – but never thought to use it in their risk management process. Fishbone diagrams are used to find root causes and are formally known as the Ishikawa Method. This tool is ideal for getting to causes. We draw a fishbone diagram, putting the problem at the head of the fish. We then identify all of the possible causes and place each onto a “rib”. In the example below, here are eight typical sources of a problem. We might then break each one down further, identifying different reasons why the hardware, data, processes or skills might cause the problem. With “skills”, for example, the cause could be lack of training, inappropriate training, poor workplace support for developing skills, or poor motivation to use the skills. How does this apply to Risk Management? When we are identifying our risks, we often end up with a load of risks that are hard to manage, because they are poorly specified. They are big and nebulous, because they are really not one risk at all: they are a basket of other, more specific risks. All of these are real concerns, but each is the outcome of many individual risks. By writing the concern into the fish head, you can then use your fishbone diagram to identify potential causes of the outcome. Each of these causes is a risk that you can manage: each will have its own likelihood, impact, proximity and mitigating strategies. Don’t accept risks onto your risk register that you cannot manage, because they are too woolly or general; focus your risk management on causes, not outcomes; try out the fishbone method as a way to find causes in your risk analysis. 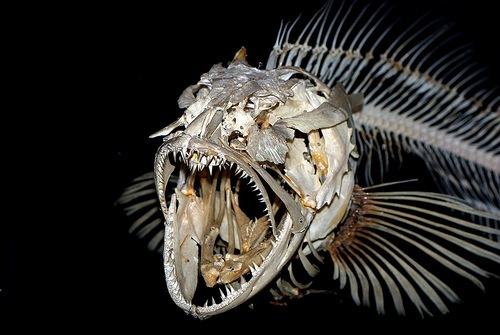 inventor of the Fishbone Diagram. This entry was posted in Identifying Risk, Risk Management and tagged fishbone, Ishikawa, problem solving, risk, root cause on 12 February, 2010 by Mike Clayton. 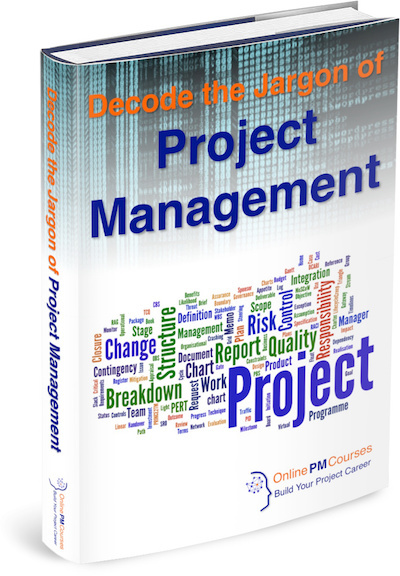 OnlinePMCourses will help you become a Project Manager. OnlinePMCourses will give you clear, practical knowledge, made easy to understand and apply​. OnlinePMCourses will help you transform yourself into the project manager you want to be. To help you do this, we are building the most comprehensive ​portfolio of project management self-development resources on the web. Do you feel 'out of the loop' because you hear words and phrases you don't understand? Do you wish you could understand everything your colleagues are saying at meetings? Do you wish you had a simple guide to over 130 common project and project management terms? Enter your email address to subscribe to Shift Happens! for emails about about new posts.